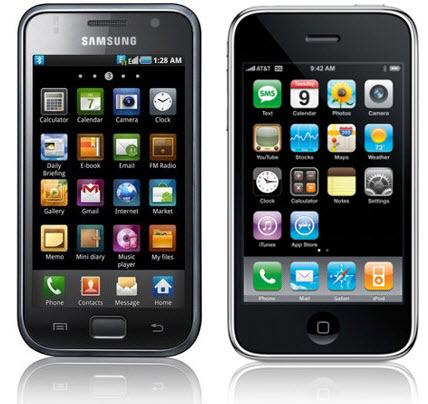 The latest decision about Apple-Samsung patent trial has created waves in the technology world. The official responses from both sides are adding more fuel to the already heated up the atmosphere. Apple says, it’s a great decision to help some great cause, but Samsung is giving some snarky response against the verdict. Apple has thanked the Jury for hearing their views in a fair way and performing the great service for the security of the patent rights. The infringement made by Samsung was quite deeper than they actually imagined and it was revealed from the evidences presented to support the case. The representatives of Apple say the trial was not just about violation of the patent rights or the damage money, but more about the values. The professionals at Apple have worked hard to bring innovation and originality in front of the consumers, but it’s worse when the innovation is copied. They say, our products are meant to bring ease and style in our customers’ lives, not for our competitors to blatantly copy. The decision of the court has given a clear message about stealing, considered as an unethical practice. Samsung is not accepting the decision of the court as a victory for Apple. They say it’s more about the loss of the American consumers, who will be left with fewer choices regarding Smartphones. Other than that, it will also increase the prices of the Smartphones and will overburden the consumers. The patent law will give one company monopoly in the market and will let the consumers suffer. The decision isn’t the final word, as consumers have their own choices and when they buy Samsung, they know what they are investing in. Samsung will continue providing its consumers with innovative choices, instead of fearing of the decision and stopping all of its innovative work. They further say they are all ready to appeal against the decision in the court and will go for Courts of Appeals if remain unsuccessful. The decision is not just an end to the battle between both technology rivals, but also an alarming sign for the unlocking service providers. Unlock iPhone 4s software will also become more expensive if the prices of iPhone rise after this decision.